Whether you are appointing a process agent (a/k/a agent for service of process) in a large cross-border financial transaction such as a loan financing, aviation lease, note offering, private placement, ADR offering or SEC filing related to any capital market transactions, including rights or tender offers, there are many important items on the closing checklist that must be completed as a condition precedent to funding, closing or filing date. In order to ensure you are engaging the best professional process agent for your transaction prior to closing and, as importantly, after your deal has closed, below are the top 5 criteria to consider when selecting a process agent for your financing transaction. For more information on the role of a process agent, see Appointing a Process Agent in Cross-Border Transactions. 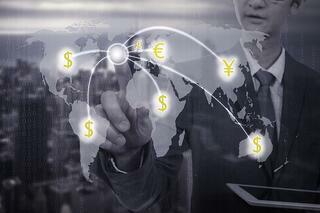 Time is always of the essence when closing on a large cross-border financial transaction. Whether you are closing in a week, the following day or the afternoon that you contact the process agent, you want to make sure you are dealing with a professional process agent company that understands the importance of being responsive to your initial request to provide a quote and deliver a draft agreement or letter right away. This will ensure that you receive the process agent acceptance to satisfy the condition precedent to closing in your operative agreements and your closing checklist. Responsiveness should be your number one consideration when selecting a process agent because the cost of not closing or funding on time can be far greater than the cost of the process agent, which is listed below as the number two consideration. For example, a missed date for an SEC filing in a capital markets transaction because you did not have the acceptance of the process agent in time could be a disaster. The process agent you chose should provide personalized, customized service. As mentioned above, time is of the essence and you should expect the process agent to deliver a prompt clear quote for their services, provide a model form of appointment agreement or letter and allow for customization of the appointment agreement and your invoicing instructions. A process agent should make the appointment process as simple and transparent as possible and keep track of your target closing date to ensure you receive the required acceptance of the process agent appointment in advance of that date. process agent both pre and post-closing. will work with the company to amend the original appointment agreement regarding the term, adding additional appointing parties or replacing parties when, for example, the company requires a novation to a lease agreement where a new lessor is being named in place of the original lessor. 5. Relationship Oriented - Before and After Your Closing! It is very important to engage a professional process agent that will not only be responsive and cost-effective in helping you close your financial transaction, but will also truly understand what their role is and be attentive to your needs after they are named in such capacity. Often companies engage in multiple cross-border financing transactions requiring a process agent and a relationship-oriented process agent company will reduce the paperwork and increase efficiency by creating customized master agreements that can be tailored to each deal. Developing a relationship with a professional process agent who meets the five criteria outlined above will provide you with a cost-effective, time-saving solution to meet this important requirement for your financial transactions. Engaging a trusted partner who will be available throughout the term of each transaction will help you to avoid problems, delays and unnecessary costs.